The North Rim of the Grand Canyon sees about as many visitors in an average year as the South Rim sees in an average month. But that's certainly not due to a lack of beauty or things to do on the remote north side of the Canyon, which officially opens for its 2017 season today, May 15. Part of the reason for the lack of visitors is the driving distance: From Flagstaff, it's 130 miles farther to the North Rim than to the South Rim. Accordingly, there are more visitor services and lodging options on the south side. But up north, you'll find solitude, super-dark night skies and gorgeous scenery. If you're looking for scenic drives, we recommend Cape Royal Road, a paved route that features views of Angels Window and ends at the North Rim's southernmost overlook, and the rugged route to Point Sublime, which offers views unlike any other spot at the Canyon. Even the drive to the rim, on the North Rim Parkway, is one of Arizona's most gorgeous routes. Looking to spend the night? Grand Canyon Lodge's cabins are legendary, but they're often booked months in advance. Just north of the park, though, is Kaibab Lodge, which offers affordable rooms. Farther north is Jacob Lake Inn, which also is reasonable. And if you're planning to pitch a tent, try the North Rim Campground, located just north of Grand Canyon Lodge. Enjoy this unique and scenic part of Arizona while you can — most North Rim operations shut down October 15. 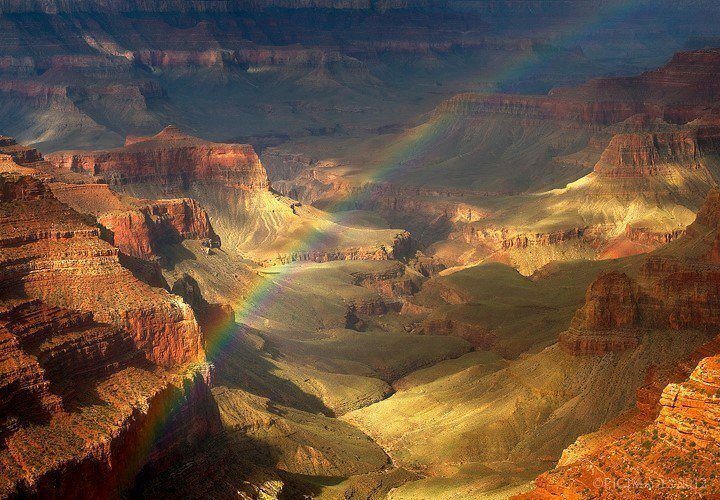 To learn more about the North Rim of Grand Canyon National Park, call 928-638-7888 or visit www.nps.gov/grca.